Monday is here again – but I’m feeling less of the Monday blues this week because 1) It’s a four day week/three day weekend, 2) my boss is on vacation and so the office is running at a slower pace and 3) today is the day I finally get to see Avengers: Infinity War! The past weekend was a good one and seemed like it passed…well, not in the blink of an eye I suppose. The office closed early on Friday and the weather was absolutely gorgeous, so I raced home and picked up my pupper and took him over to one of our favorite spots – the Virginia State Arboretum! I took an abundance of pictures because it was just too gorgeous outside not to! The rock walls (which have signs that warn that snakes like to hide in the rocks…) were a huge favorite for Watson, especially after he realized that he could climb up on top of the wall, walk and see everything stretched out in front of him! It meant I had to do some very careful walking and weaving to allow him to stay perched on the wall so he could see all the sights. And so – even though we were only at the Arboretum for about an hour, I took so many gorgeous photos and so I’ll stop “yapping” and share some more of them below. Once we’d explored and taken the time to stop and smell the daffodils – which I couldn’t believe were still in bloom – we headed for a quick spin around the loop drive with the windows open so Watson could feel the breeze in his fur. The rest of Friday was just a relaxing evening – it’s always nice to have those Friday nights where you can relax and just recuperate from the work week. I watched Thor and had some cheese pizza for supper…I shared bites with Watson, of course. Watson and I took a couple spins around the neighborhood and I closed out the evening with an ice cream cone and the first two episodes of The Handmaid’s Tale – not the most peaceful Friday night watch, but good TV watching still. I suppose Watson didn’t really enjoy the Handmaid’s Tale – but he did enjoy a good nap before going to bed, ha-ha! Saturday was another gorgeous day – the sun was out, the sky was blue and there was a gentle breeze. It was perfect baseball weather and I was in luck…because I had tickets to a baseball game! The game wasn’t until 4:05, so I was able to spend my morning leisurely sipping coffee, chatting with my younger sister and just enjoying the morning. Watson spent most of the morning laying out on the deck in the sunshine. Shortly after lunch, I headed toward DC and happily traffic wasn’t too bad, so I arrived at the metro and met up with my friend Rachel and her daughter in perfect time. We made our way to Nationals Park; with Rachel’s daughter getting more excited every time another Nationals fan boarded the metro, and we all emerged from underground to the bright blue sky and a street teeming with fans. I took the time to check the message on the building – it changes with every home stand – and this time it was commemorating the broken bat homer that Harper hit in NY recently. It gave me a laugh. Nationals game with Rachel & Sophia! We made our way to out seats, stopping on the way to grab drinks and settled in for some baseball. It was Sophia’s first major league game and she was very involved – she asked questions, cheered and squealed loudly and seemed to really enjoy herself. Jeremy Hellickson pitched for the Nationals and really did a great job – I still find myself confused as to why the manager pulled him after only 57 pitches when he’d held the Diamondbacks to just one run. We got to see two home runs, a two run bomb from Ryan Zimmerman and a one run homer from Howie Kendrick…but unfortunately, when Hellickson was removed from the ballgame is when the troubles started. My drive home was uneventful and I actually arrived home around 9:15 – earlier than I had expected to, which was nice! I took the puppy on a walk and then we settled in the living room and I finally…finally…watched the series finale of The Office before turning in for the night! The finale was so good – parts of it made me tear up! What a great show that really knew how to end things perfectly! Saturday night Watson napped in the chair and Sunday morning, he napped on top of the deck furniture…soaking in the sun while I slurped up the coffee. I headed out to church and commiserated with my friend Jennie that I absolutely could not stop yawning! I don’t know what the deal was, but I could not get it together on Sunday morning! I attended my final NEXT class at church and then headed home and immediately made a third cup of coffee, which I sipped while starting the laundry and watching Avengers: Age of Ultron – which I’m so glad I re-watched; I’d forgotten so much! I passed my Sunday afternoon with laundry, a movie, walks around the neighborhood with the puppy and just some general laziness. I fixed myself a burrito bowl for dinner, took a nice bubble bath and then watched the new episode of Westworld before turning in for the night. And now I find myself on Monday afternoon, one work day almost done…Infinity War in my sights and a three day weekend also in my sights! I can’t wait! Friday is here – yahoo! Twice this week I found myself thinking “tomorrow is Friday” and then I’d realize that it actually wasn’t. This week has been; for the most part, fairly relaxed…but I guess I was just living for the weekend all week? I know…I know…you’re supposed to live for the moment! Let’s move on to the five things I’m loving/thinking about in *this moment* on this lovely Friday! One. The Royal Baby – I love anything and everything to do with the royal family and so I’ve been anxiously awaiting the arrival of the newest member, so I was pretty thrilled when I woke up on Monday and saw that a new little Prince had been born! And today we find out his name is Louis Arthur Charles – a big name for such a wee fellow and a name that hearkens to many historical men that have come before him! The baby is precious, Katherine looked absolutely gorgeous even at seven hours post-partum (that glam squad working overtime) and sweet little Princess Charlotte’s wave to the people when she visited her new little brother – it just slays me. Up next – the royal wedding! Two. 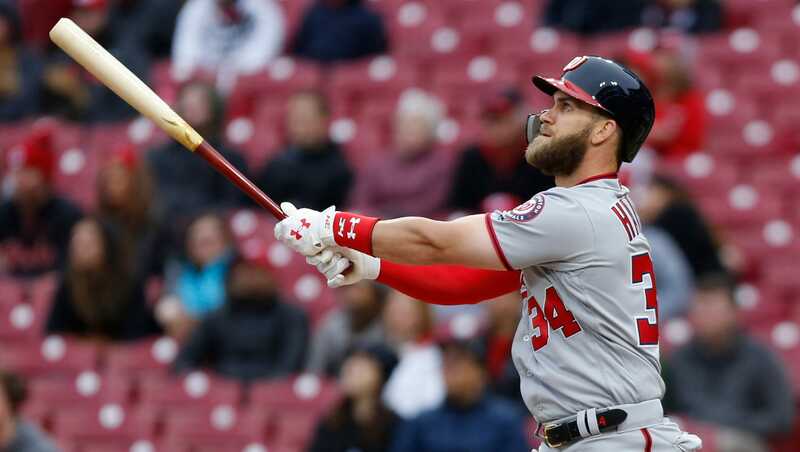 Nationals Baseball – The Nationals are back in DC this weekend after going 4-5 on a road trip that saw them play the Mets, the Dodgers and the Giants. They closed out the road trip with a blowout win of the Giants; the final score was 15-2! I sure hope the bats stay hot this weekend with the Diamondbacks in town! I’ll be headed to the ballpark on Saturday with my friend Rachel to catch the afternoon game – and as always, I cannot wait to be in DC, watching some baseball in the sunshine! Three. Westworld Season Two – The second season of Westworld premiered last Sunday night and I am already trying to sort out in my mind how many story lines we are meant to be following this season and what exactly is going on! Westworld is such an intricate and complex show with diverging plot lines and little secrets hidden here and there for the most observant viewers…sometimes you want a show to challenge you and Westworld is certainly that; a mind-bender in the best way possible. While nothing can ever replace Game of Thrones as the number one – Westworld is certainly up there on my list and if you’ve thought of giving it a watch, I’d definitely recommend it…but be warned, it comes on HBO so it’s not exactly “tame”. Four. Adieu April – Can you believe this is the last weekend in April? It just struck me as I was sitting here and I cannot believe how quickly this month has passed! The month has been filled with baseball, bible studies, birthday parties (here’s where the alliteration ends) dinners with friends, a play and classes at church! This month has felt so full and I suppose that’s why it has passed so fast? Either way, I can’t believe May is so close! And I’m sure it will fly by too…since it’s filled with so much fun! Five. Infinity War – Which I don’t get to see until Monday evening…and so I’m trying to dodge spoilers every time I get on social media! The cast and crew have asked that people keep the film’s plot with it’s twists, turns and inevitable character deaths (*sob*) to themselves so everyone can have an enjoyable movie going experience…but I’m not sure how well it’s stuck. So until Monday night, I’ll be keeping my eyes and ears closed to all things Infinity War. After all, Thanos Demands your Silence. Ha-ha! And that’s all she wrote for this; the final weekend, of April! I hope everyone has a good weekend and I’ll see you back here soon! A little Spring shot of my pup and I for today – it seems like the weather here in Norther Virginia may have finally gotten on board with Spring and I’m thrilled! Trees are turning green, flowers are blooming and I foresee lots of lounging on the deck in the sunshine in the future for Watson! I know what you’re thinking – today is Tuesday and not Monday – and you’re right. I never got around to posting on Monday because it seems like the day is always crazy hectic. So, here I find myself on a Tuesday afternoon (that is also blah because of rain) posting about my weekend exploits. Friday evening was pizza night – I was probably a wee bit too excited about getting pizza, but sometimes in life it’s okay to get excited about the little things. There is a new(ish) pizza place in my neck of the woods called Oak Stone and all the pizzas are wood-fired and so yummy! I got a cup of the lip-smackingly delicious tomato bisque and had the Tijuana: spiced beef, cheeses and sour cream on the tasty thin crust. I also had some kind of wonderful pineapple and rum cocktail that was tasty – the whole meal was a delight! I ended up perusing the aisles of Home Goods (always dangerous) for some birthday gifts and then headed home and watched Spiderman: Homecoming. It was a really low key evening and it was made even more splendid by knowing that I didn’t have to get up early on Saturday! I slept in on Saturday and really relished my first cup of coffee – it is definitely one of life’s little pleasures for me, to just sit in the quiet and sip my coffee. I didn’t have anything on the agenda until around 12:30, so I had breakfast and got in a little bit of exercise, walked the dog a time or two (the weather on Saturday was gorgeous) and then got ready for the rest of the day. The first of our birthday parties was for April, who was turning three and had a Troll-themed party! I have not seen the movie Trolls but I know all the little people love it and the music is good, ha-ha! Everything was bright and colorful and the food was delicious – and sweet April told everyone thank you as she opened her gifts! I’d like you to notice my parents got into the theme, donning some really cute troll “hats” and my Dad was quite interested in April’s new train set! Since we were already in West Virginia (it’s wild and wonderful y’all) and our second party was in Harpers Ferry, we decided to actually go to the town of Harpers Ferry to spend a couple hours. It’s one of the coolest little towns that was the site of John Brown’s raid of the US armory, the Potomac and Shenandoah rivers converge and the whole town is like stepping back into the past. There are historical displays, a train station and bridge crossing the river(s) and tons of unique shops and restaurants – it’s such a cool place! I persuaded my Mom to climb to the church, perched on the hillside…and I snapped a few pictures of bright red tulips as we climbed the stairs cut into the rock face. I further made the climb up to Jefferson Rock – named because Thomas Jefferson stood at the location of the rock formation in October of 1783 and said the view from the rock was worth “a journey across the Atlantic”. It is quite a lovely view, if I do say so myself…although I only have a few pictures to show for my little climb up the hill! We met up with some friends who were also headed for the birthday get together and wandered around town a little longer – I grabbed a birthday card from the free trade shop and snapped a few more pictures around town; we walked the bridge spanning the river(s) and climbed up and down the town set in the hillside. It was then time to head over to our friend’s Doug and Jen’s house to celebrate Emily and Evelyn’s birthdays – Emily was 12 and Evelyn was 1! Evelyn is a momma’s baby and that is putting things mildly, so when we arrived at the house and Jen had gone to get pizza, Emily passed her little sister to me to take inside – and what unfolded was pretty hilarious to me. She initially was perfectly content but once we got inside and she really began to survey the scene, the looks she was giving me became more dubious by the second – until she finally burst into tears and booked it across the floor toward her Dad. We had pizza and cookie cake and the girls opened presents – and while they did that, I tried to distract the middle sister…still quite wee herself, because she didn’t have any presents to open and wasn’t really sure why she wasn’t getting all the attention. So she hid behind my Dad and I and we made lots of funny faces. All in all, it was a fun evening with some of my favorite little people! Mia – always wanting to smile! I was absolutely exhausted on Saturday evening – I’m not certain why…but I got into bed and found my second wind, so I watched an episode of Westworld before calling it a night. Sunday was filled with the familiar routine of church and I was able to meet some sweet ladies at the table I sat at for my NEXT class – always nice. I spent Sunday afternoon doing a whole lot of nothing… I did the laundry, played Westworld catch-up before the second season premiered at 9:00 and took my pup on walks around the neighborhood. All in all, a pretty lazy Sunday afternoon. And now here we are – it’s Tuesday afternoon, the work day is almost done and the middle of the week is almost here. Thank goodness, ha-ha! It’s finally Friday! Honestly – this week has not seemed long – but it’s always nice to see Friday arrive once again and have the weekend stretch out before you! I’m all over the place with today’s five things…food and baseball and the weekend and Posh…let’s go! One. Spring Fling – As in; I feel like Spring is having a fling with the US at large. Every time I think it arrives and I get comfortable with my florals and my short sleeves and I update my nail polish job…the weather changes again and it starts snowing! There were snow flurries here in NoVa as I was driving home from the office on Tuesday! I am crossing my fingers that Tuesday was winter’s last stand – but only time will tell! Honestly though – it’s almost May! Come on Spring – stop toying with my emotions! Two. Smokey BBQ Chicken Chili – Another recipe that wasn’t a Pintrest fail! I tried this one out on Tuesday night and it was a hit, so I thought I’d share! Place chicken breasts at the bottom of your slow cooker. Add all remaining ingredients and stir around chicken. Cook on low 8 hours/high 4 hours. When chicken is tender, remove to a cutting board to shred or dice. Return to slow cooker and cook an additional 20 minutes. Garnish with cheese, sour cream, chips and bacon! Three. 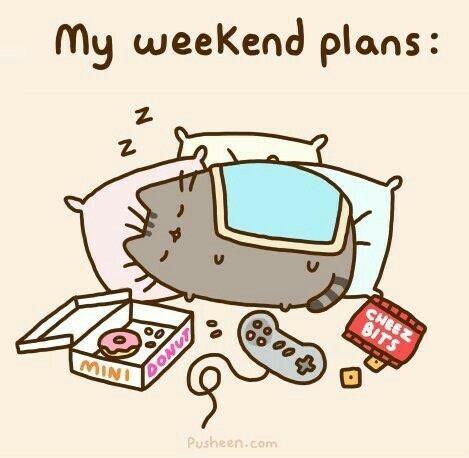 Weekend Plans – That lovely thing called the weekend is on the horizon! I’m getting pizza tonight with the family at Oak Stone, a new(ish) wood fired pizza restaurant and then doing a little birthday shopping. I’m going to lay low tomorrow morning and all of Saturday afternoon and evening will be spent at birthday parties for three little ladies in West Virginia. Sunday I’ll be doing the church thing and then maybe spending a lazy afternoon trying to finish re-watching the first season of Westworld before the second season starts on Sunday night. Four. Nationals Baseball – The Nationals currently sit at 9 and 10 and are in fourth place (out of five teams…eek!) in the National League East division. To say that April has (thus far) been a rough month would be a bit of an understatement. The team starts a three games series with the Dodgers today before heading to San Francisco for a three game series with the Giants…then it’s home to take on the Diamondbacks and the Pirates before April ends. I’m trying to look for bright spots: Scherzer and Strasburg have been pitching incredibly, Harper’s bat is on fire…but yea, right now it’s not great. Thank goodness there are still 143 games in the season and so many opportunities to improve! Five. Claying Dirty – Yesterday was Perfectly Posh’s monthly Splurge and for the month of April, the Splurge was Claying Dirty, a purifying body scrub/mask with purifying kaolin and bentonite clays, charcoal, exfoliating pumice and apple cider vinegar to tone and moisturize. Did you know that the pollution is in the air, our food, our water…and your skin (the largest organ in the body) picks up everything! Pollution is the number one cause of skin aging prematurely and bentonite clay is drawn to toxins in your skin and pulls those toxins out! Detoxing your skin can help with overall health of your skin and helps fight signs of aging! That’s all for this edition of Five on Friday! I hope everyone has a great weekend! My favorite photo of my sweet pup – the best that was ever taken. My little sister calls this picture “the showstopper” and she’s right. It’s the face of a sweet little dog who was enjoying every minute of the sunshine and spring breezes! It’s often funny the thoughts that creep into your mind – usually at the strangest time or place. I had one of those moments on Friday night at; of all places, the baseball game. I was just watching the game, taking in the bright lights, the crack of the bat, the smell of beer (which I normally hate, but it just goes with baseball…) – you get the idea – and while I was taking all this in, I looked down and the ring on my hand caught me eye. I remember my grandmother wearing this ring – her hands soft and warm, the wrinkles creating pathways across her skin, chronicling the life she had lived – and the ring sitting on her finger. I remember how she used to pat my face and tell me that she loved me. Every time I look at this ring, I can so distinctly see it on her hand…and sitting there at the baseball field on Friday night, I looked at that ring and was taken aback by how quickly life can change. I have a habit of going through life looking for the “next thing”. I can sit at a baseball game and think to myself “I can’t wait to come to the next game!” When January arrives and it is cold outside, all I can think is “I can’t wait for Spring to come…” and every Monday, all I can think about is what I’ll do when the weekend comes. I tend to have the mindset that my life will really begin when I finally get one thing or another – but life is happening all around me. Life changes so quickly and no one is promised even the next minute – seeing my grandmother’s ring on my finger Friday night overwhelmed me with the thought that maybe I shouldn’t rush to get to this or that – but just enjoy the here and now. If I spend all my time waiting for “the next big thing”, I’ll miss all the wonderful little things that are happening on a day to day basis. Sometimes the little things add up to a big thing…and sometimes they are just little things, but they still merit enjoyment. *Fully aware the picture is not great – but I felt super awkward trying to photograph my hand, ha-ha!